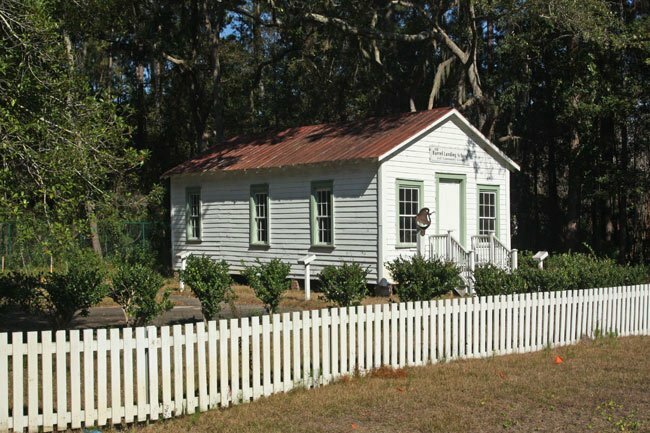 This one-room school house in the rural town of Okatie (pronounced “OH-kuh-tee”) in Beaufort County is the second one to sit on this property. The first was built prior to the Civil War, but it burned by the end of the nineteenth century. The school was soon replaced, though it, too, suffered damage from both a fire and a hurricane. However, despite these disasters, the school served students from grades one through eight until a consolidated school in nearby Bluffton was built in 1919. After the school closed, the building became a community center. It was restored in 1995, and at the dedication, descendants of former students rang the building’s original school bell, pictured above. 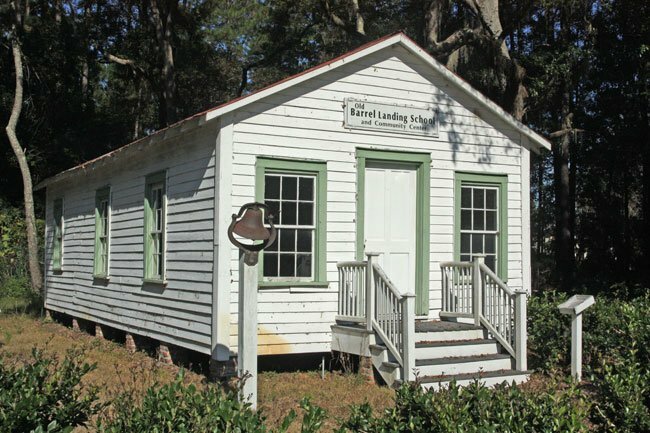 The school was named for the landing on the Okatie River, which took barrels of produce to the surrounding cities of Beaufort, Savannah, and Charleston.